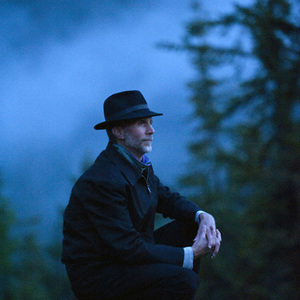 John Luther Adams (born January 23, 1953 in Meridian, Mississippi) is a composer whose music is inspired by nature, especially the landscapes of Alaska where he has lived since 1978. Like many composers of his generation, John Luther Adams did not grow up immersed in scored music. Adams began playing music as a teenager, as a drummer in rock bands. Through his experience in rock bands, friends introduced him to the music of Frank Zappa. Like many composers of his generation, John Luther Adams did not grow up immersed in scored music. Adams began playing music as a teenager, as a drummer in rock bands. Through his experience in rock bands, friends introduced him to the music of Frank Zappa. Through the liner notes of a Zappa album, he discovered Edgard Var?se. Similarly, Var?se's liner notes brought him to John Cage. But it was not until Adams discovered Morton Feldman that he found his calling. Adams attended Cal Arts as an undergraduate in the early 1970s, where he studied with James Tenney and Leonard Stein. His group of classmates includes the composers Lois V Vierk and Peter Garland. After graduating from Cal Arts, Adams began work in environmental protection. This work first brought him to Alaska in 1975. His deep love for the location led to his permanent migration there in 1978. It continues to be the driving force in his music to this day. In 1993, he was awarded a grant from the Foundation for Contemporary Arts Grants to Artists Award. Adams's musical work spans many genres and media. He has composed for television, film, children's theater, voice, acoustic instruments, orchestra, and electronics. His frequent use of static textures and subtle changes show his obvious affinities with minimalism, and his tendencies toward extended, meditative, and intuitive structures convey his true love of the music of Morton Feldman. Lou Harrison said he is "one of the few important young American composers," while Adams himself says: "My music has always been profoundly influenced by the natural world and a strong sense of place. Through sustained listening to the subtle resonances of the northern soundscape, I hope to explore the territory of 'sonic geography' - that region between place and culture...between environment and imagination."